Because I am sort of a bucket head, I have finally fixed the redirect from 45caliberjustice.com to www.45caliberjustice.com. It was just saying "not found". I posted about getting back into blogging... I still have not. But the new site does look good thought. Right? 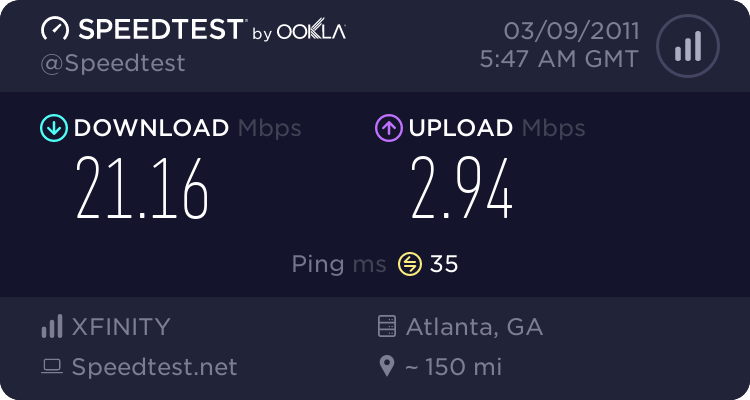 New docsis 3 modem and the speed test site set to MB rather than Mb.